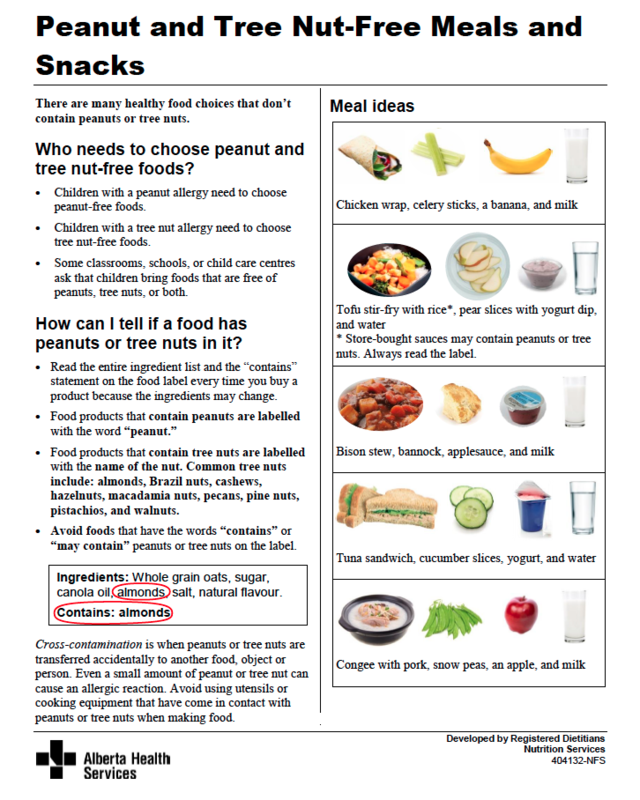 Is your child, or someone you know, allergic to peanuts, almonds, hazelnuts, eggs, fish, or wheat? Chances are high that someone close to you has food allergies – and 1 in 2 Canadians knows someone with a serious food allergy. Serious food allergies are those that can cause severe physical reactions once the allergen is consumed. 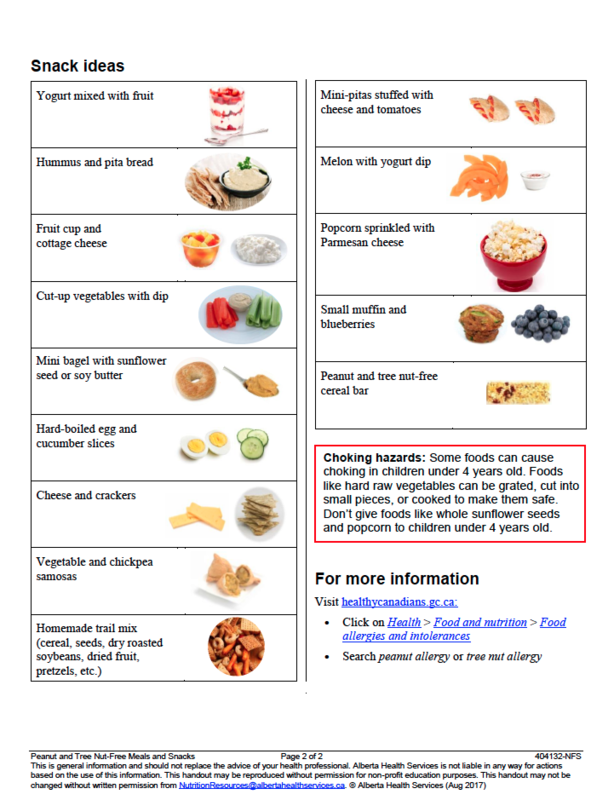 If your child has a food allergy, it is very important to monitor the food they come into contact with. Anaphylaxis is when the allergic individual quickly develops these symptoms and more, usually with swelling of the lips, tongue, or throat. If left untreated (by an injection of epinephrine or adrenaline), anaphylaxis will lead to death. Because the number of children with severe food allergies has grown so much in the last decades, many schools have adopted allergy-free lunch policies. This means that parents might be restricted from packing many foods for their children’s lunches because they might cause allergic reactions in other students. Some schools may also keep allergy-intervention medicines (such as the Epi-pen) on site in the case of a severe allergic reaction. Because packing school lunches can be confusing for parents when they have to take so many different factors into consideration, Alberta Health Services has put together a helpful guide for parents wondering what to send with their kids to school. The guide gives recommendations for meals (foods such as bison stew, bannock, and applesauce, or pork congee, snow peas, and fruit) and snacks (mini pitas, cut up vegetables, samosas). It also shows you how to read food labels to decide if a given food contains nuts. CIES Guides are a volunteer-led project made possible through contributions from the community. Thanks to Whitney Loewen for help with this guide.